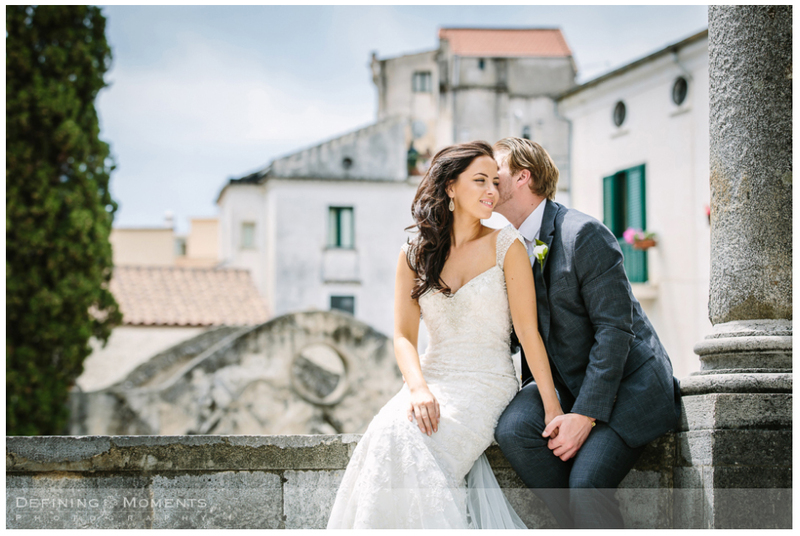 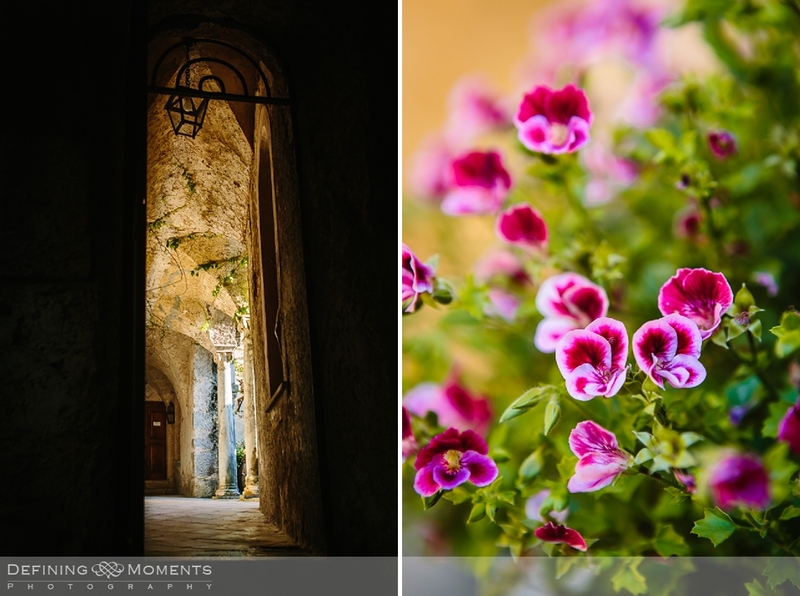 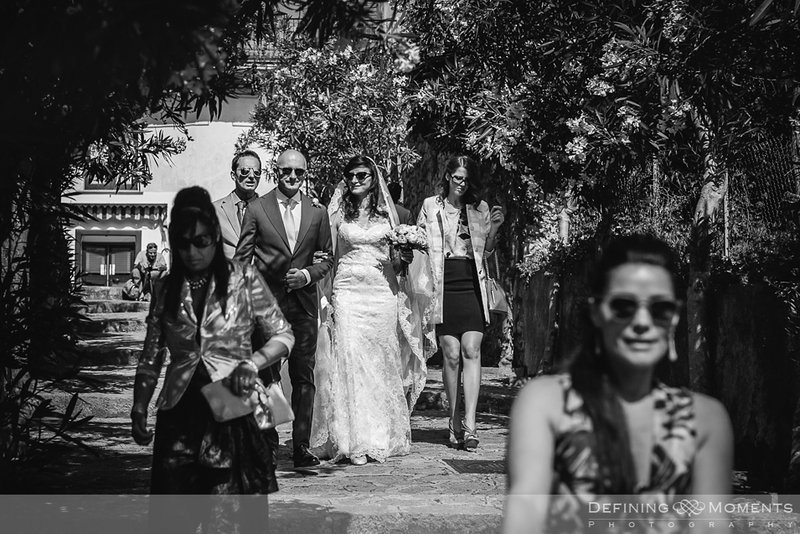 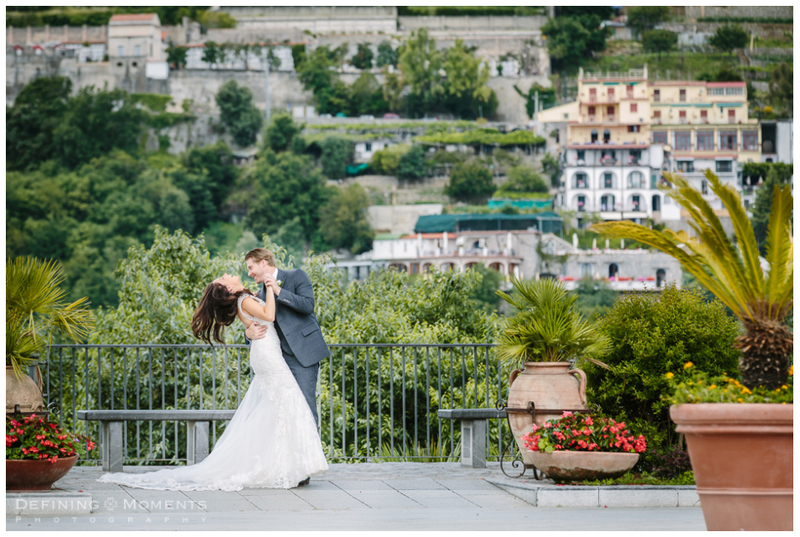 If you have planned your dream wedding on the Amalfi coast in Italy, country of La dolce vita, I’d be happy to accompany you as wedding photographer Italy to your chosen destination. 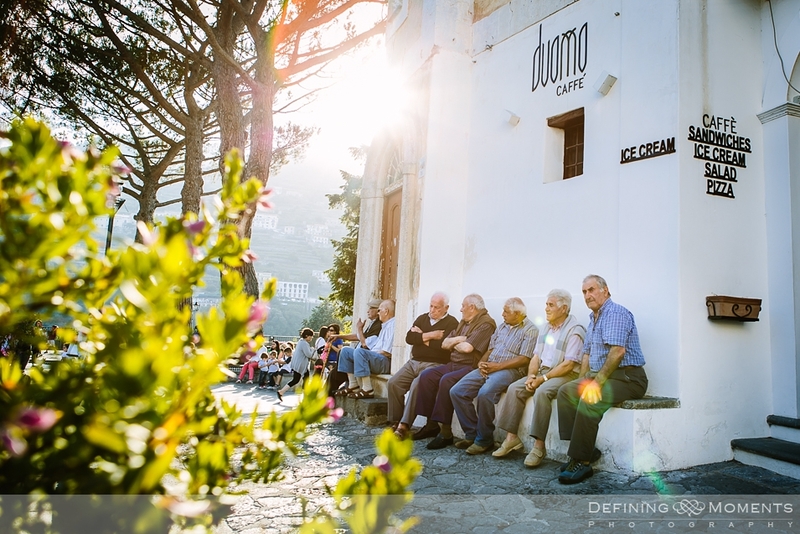 Italian is my second language, I have lived & worked there for 9 years so that could be convenient if you don’t speak the language yourself. 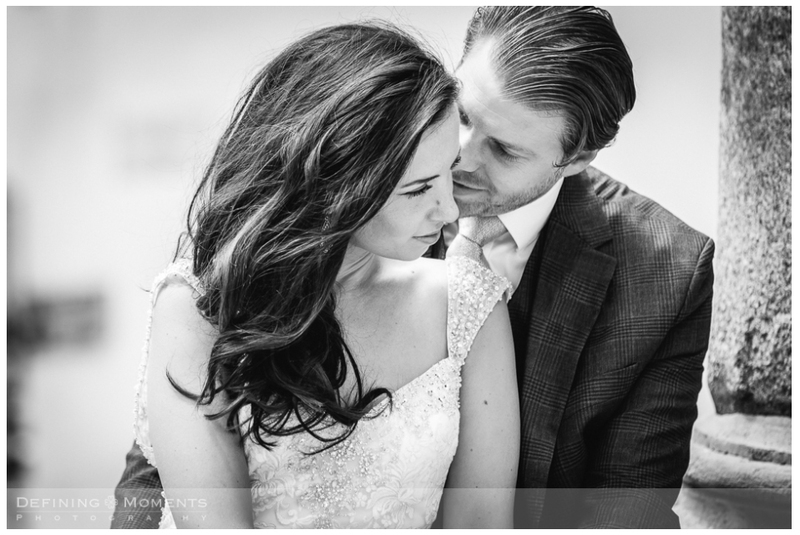 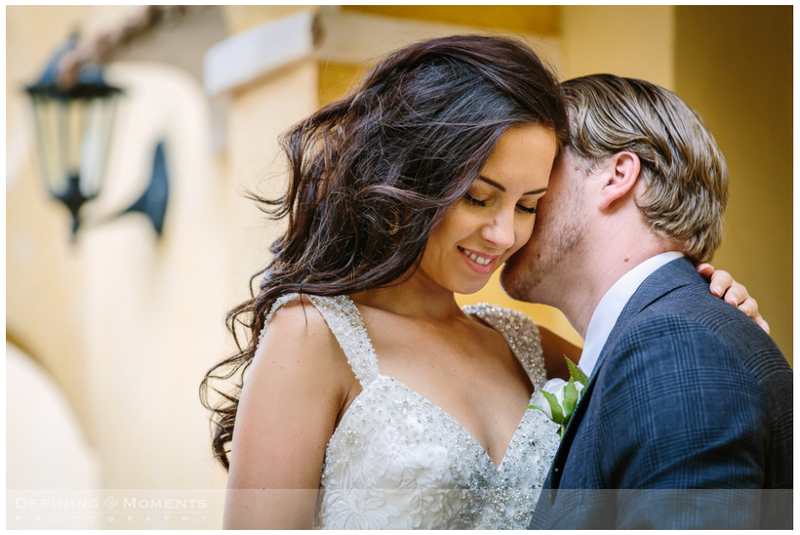 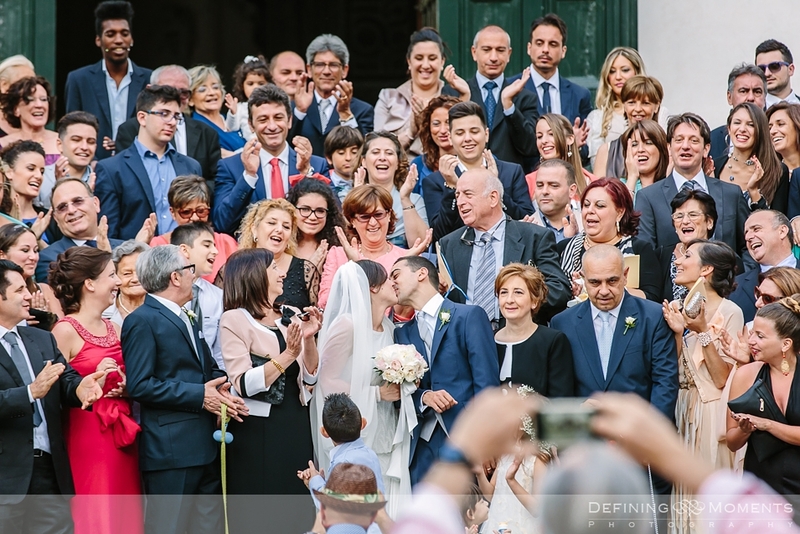 Having a wedding photographer who is fluent in your mother tongue and also speaks fluent Italian could be a nice bonus ;-). 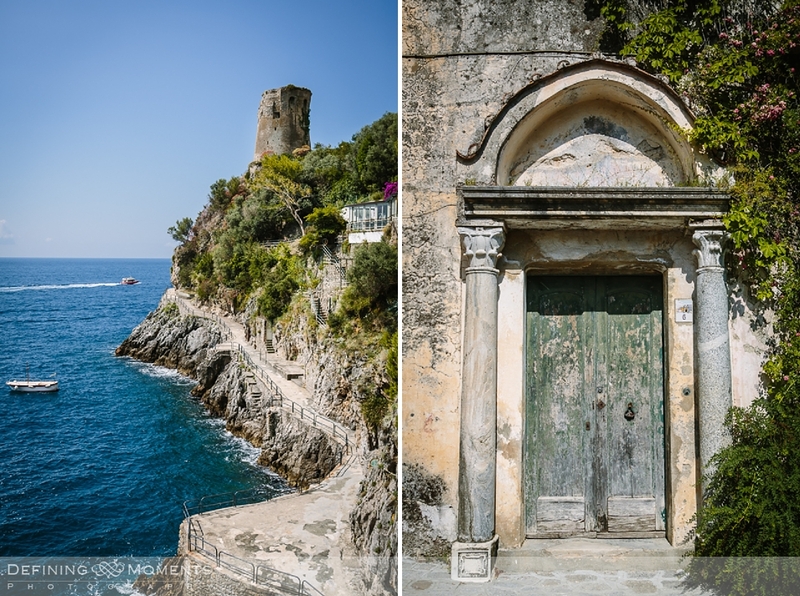 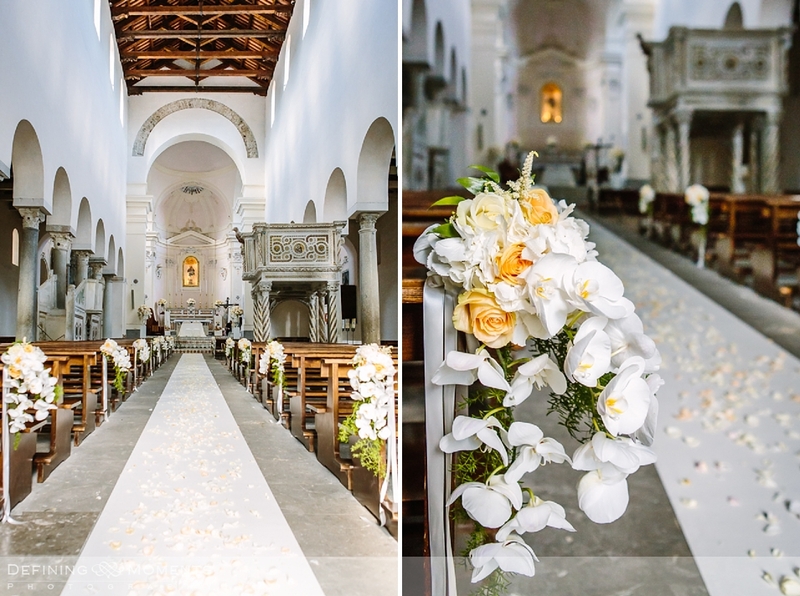 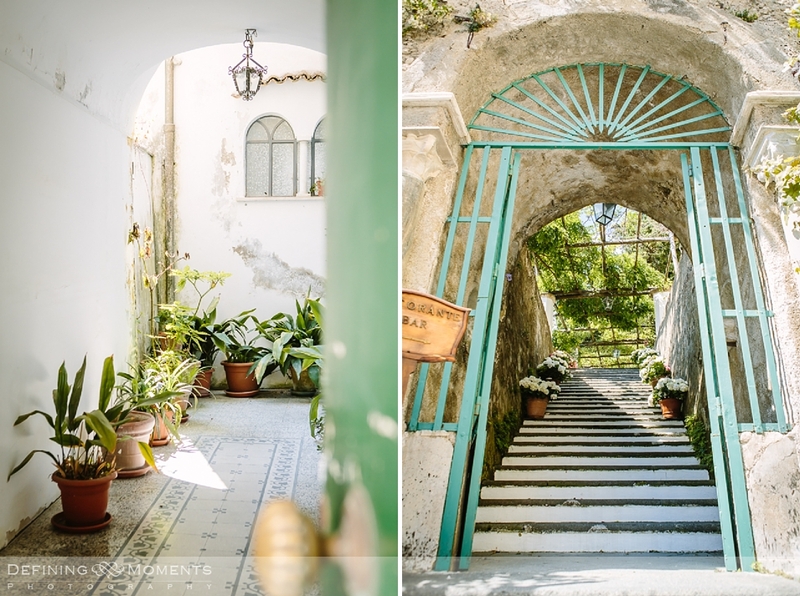 From Tuscany to Campania and Puglia, Florence and Rome, Positano, Sorrento, Ravello or Amalfi, the possibilities for a destination wedding in Italy are endless and one location is more gorgeous than the other. 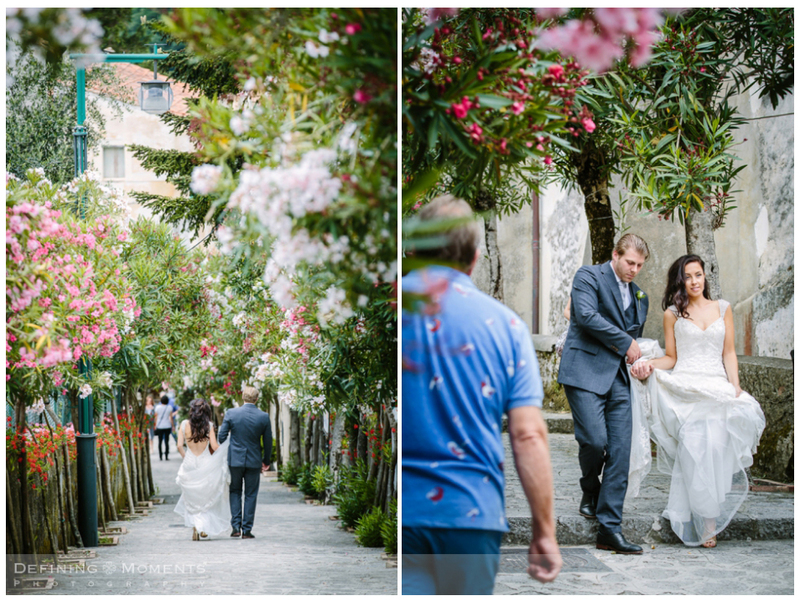 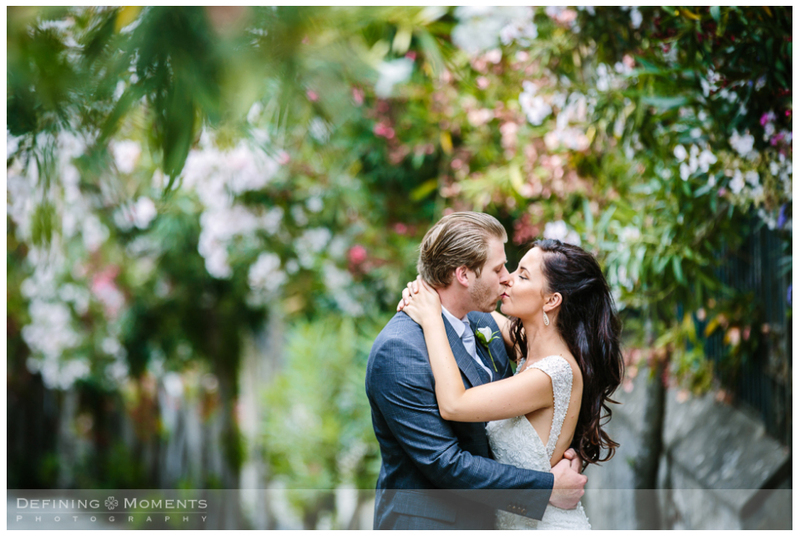 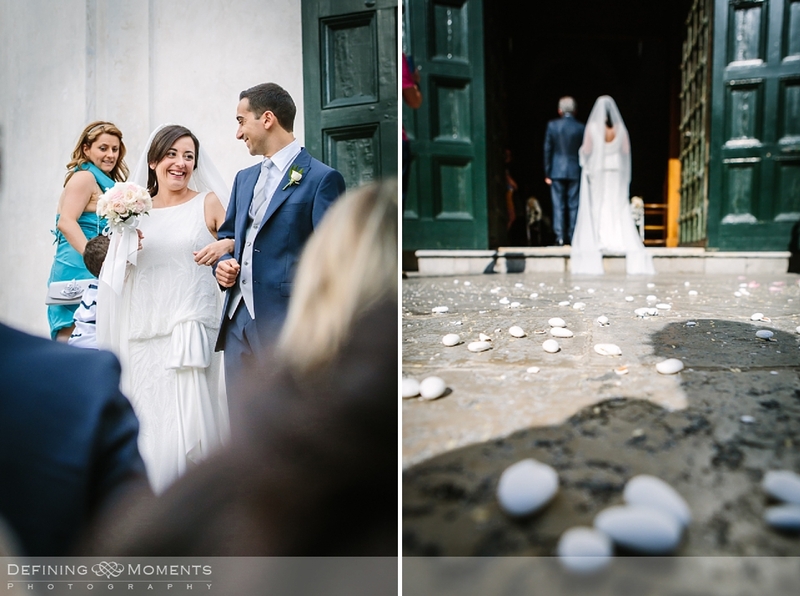 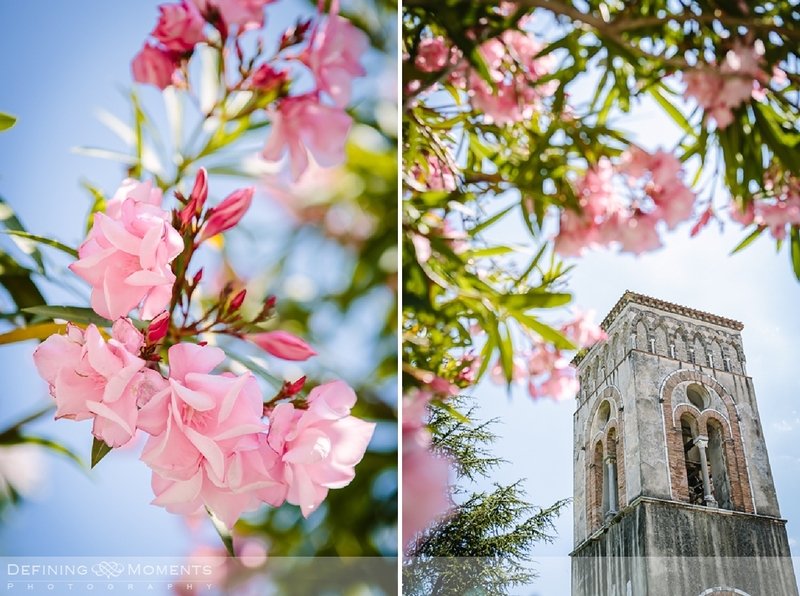 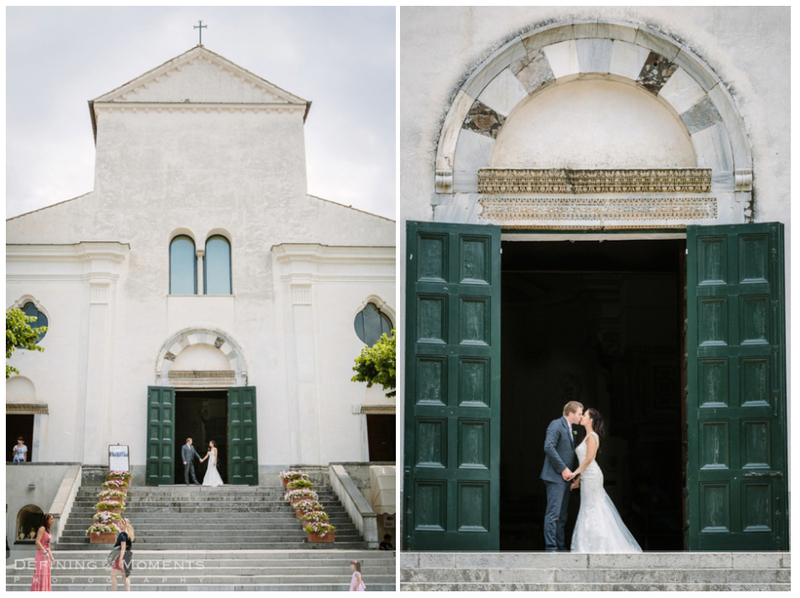 A while ago I was in Ravello at the Amalfi coast to participate in a photography workshop and it became all to clear how special it is when you can celebrate your love and have your wedding in Italy. 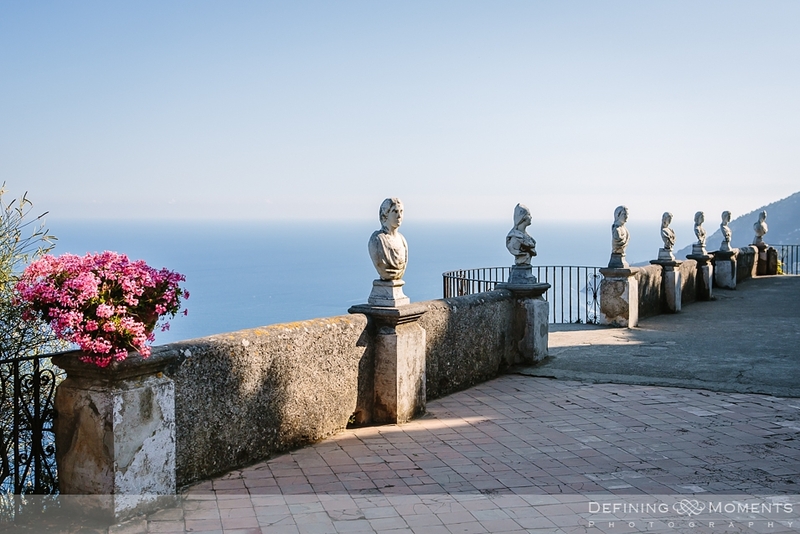 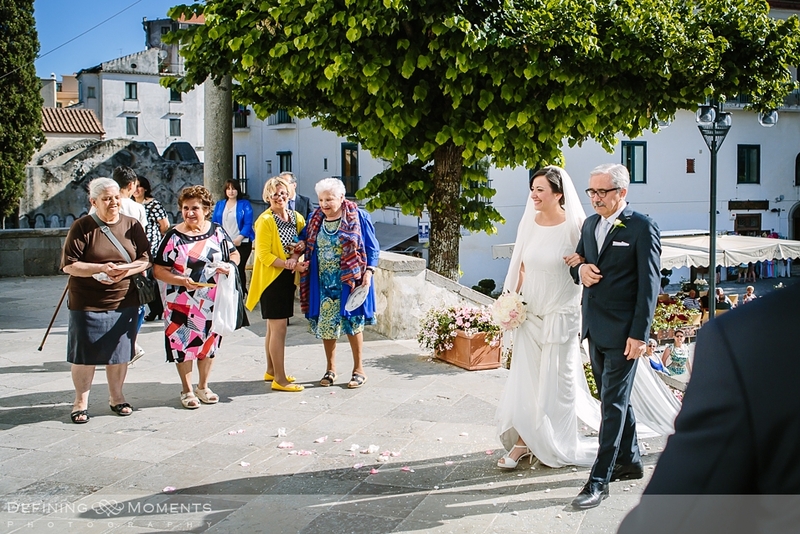 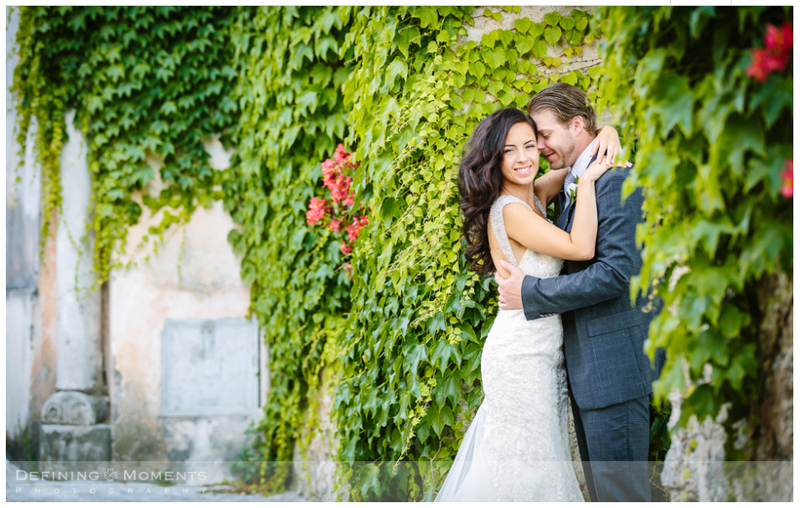 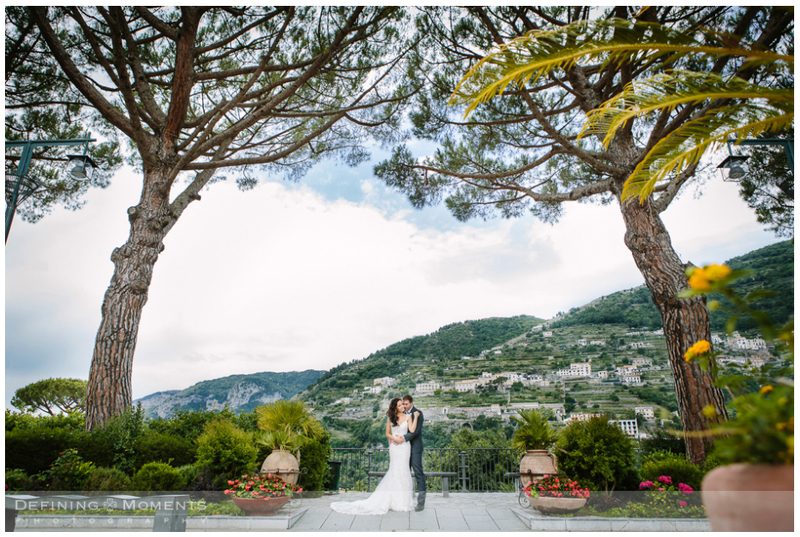 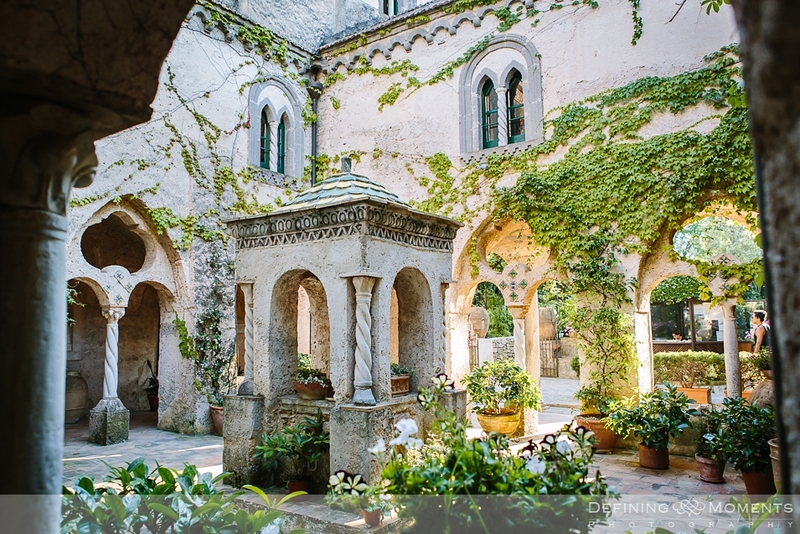 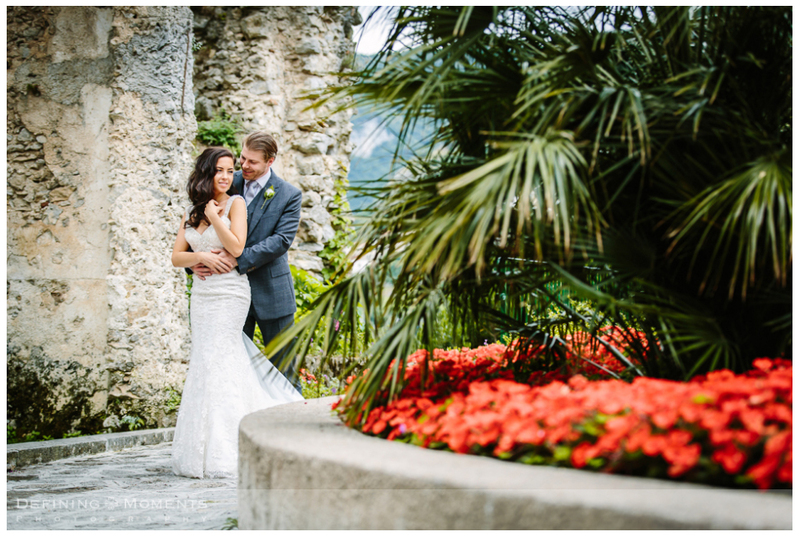 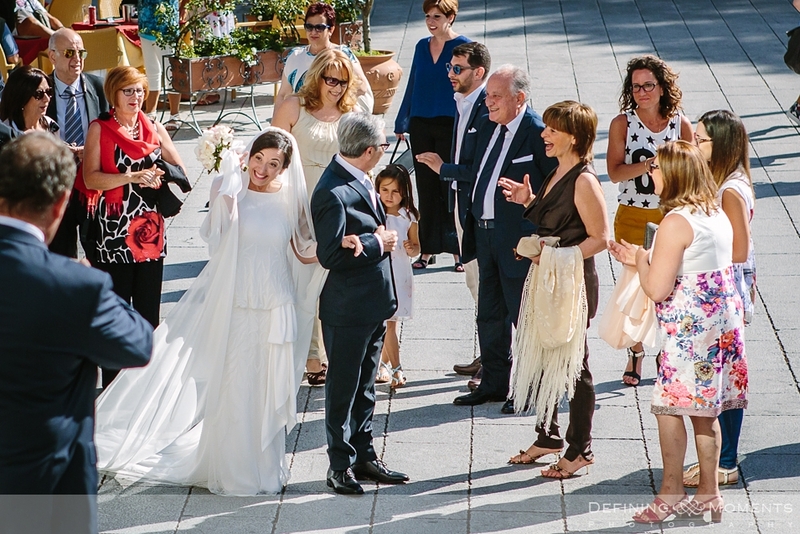 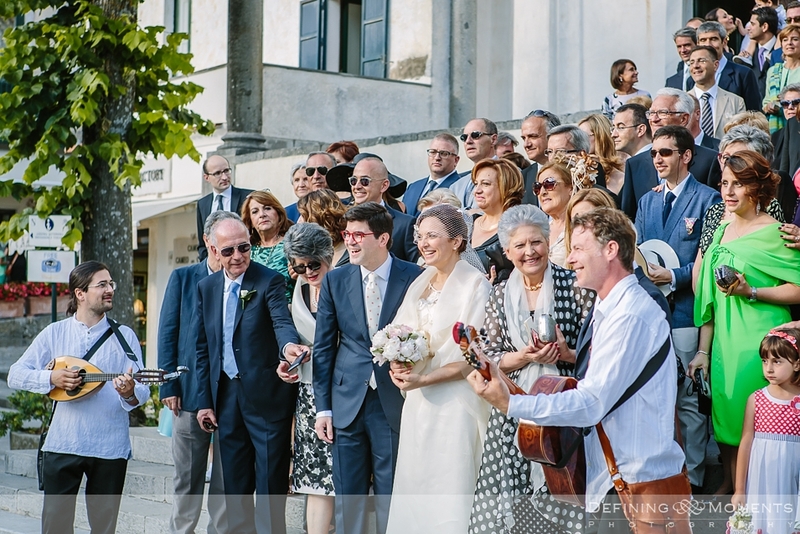 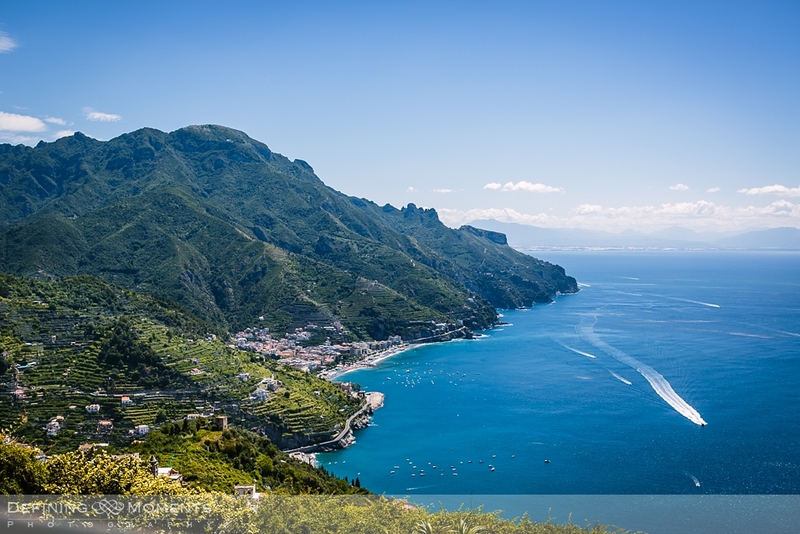 If you are considering getting married in Ravello there are plenty of options. 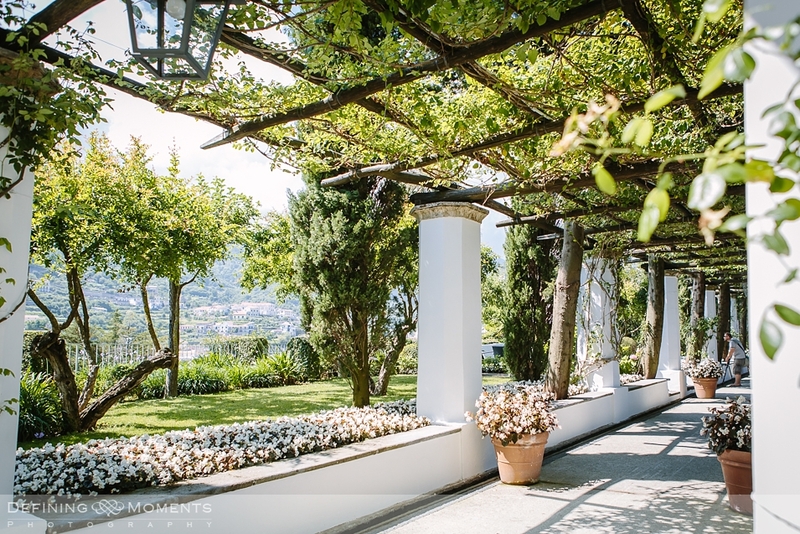 For starters you can choose to stay at one of the beautiful villa’s, overlooking the Amalfi coastline, where you can have your bridal preparations captured in style. 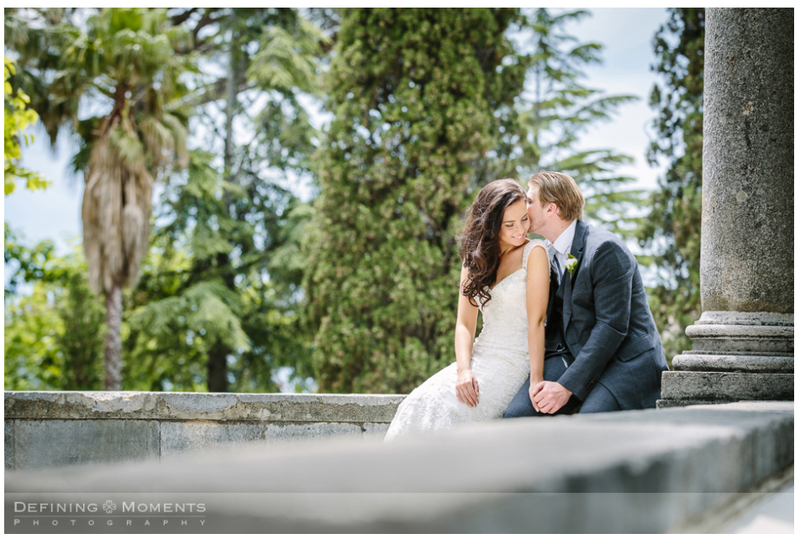 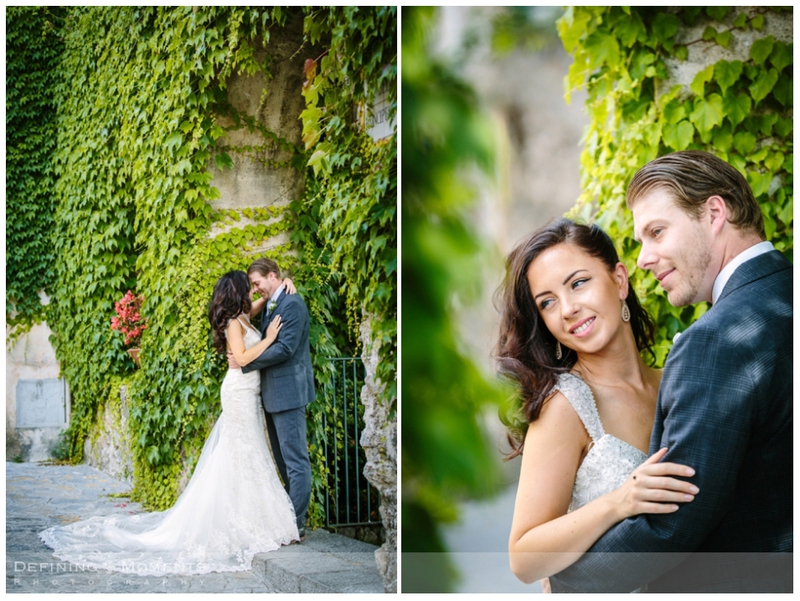 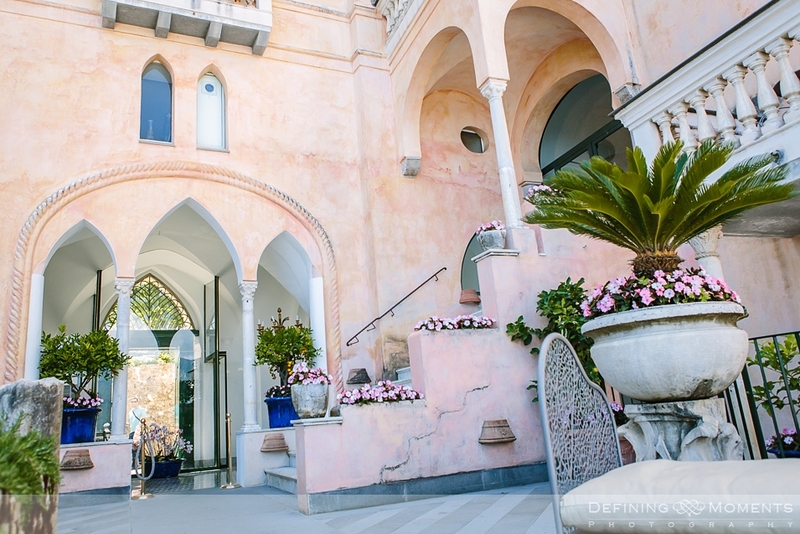 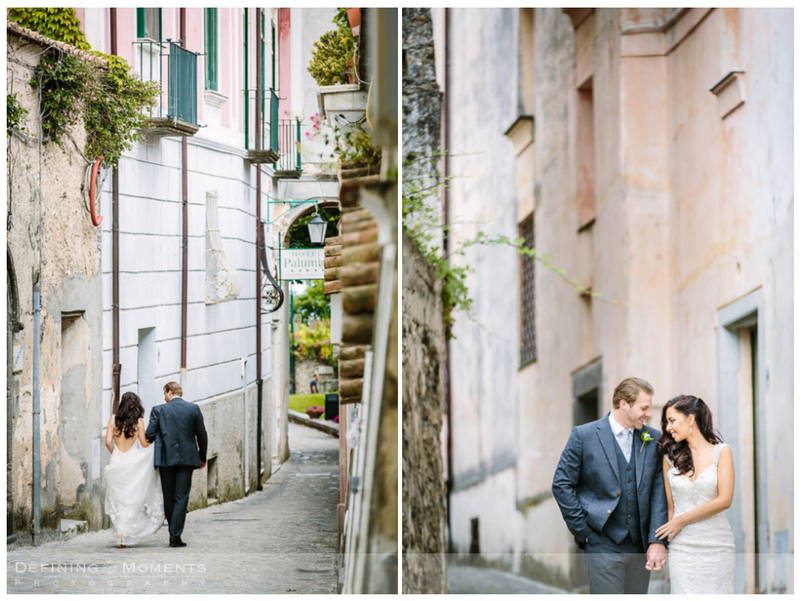 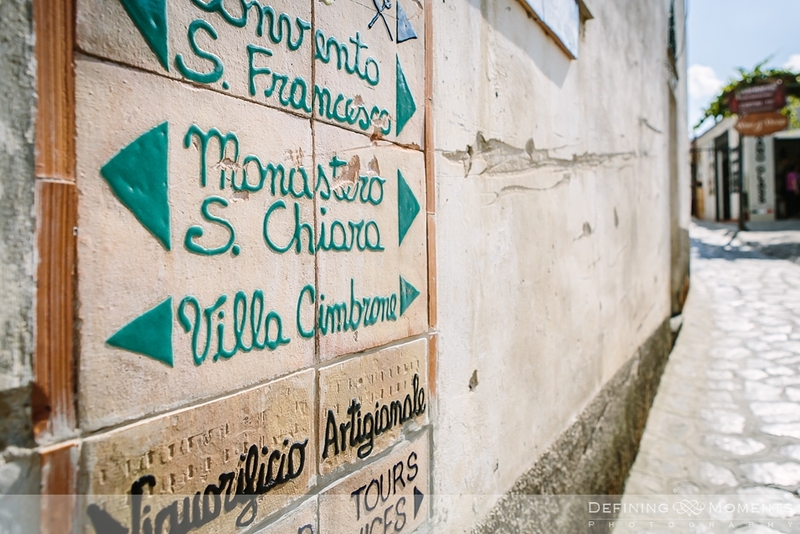 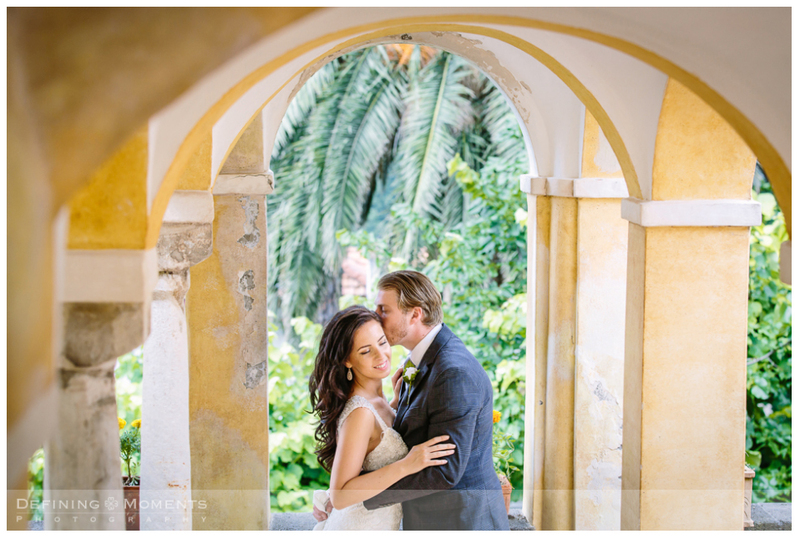 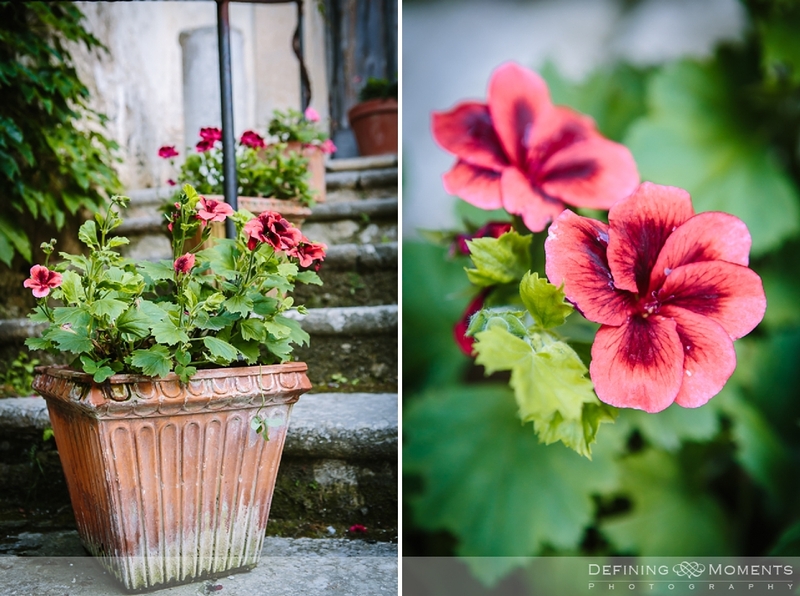 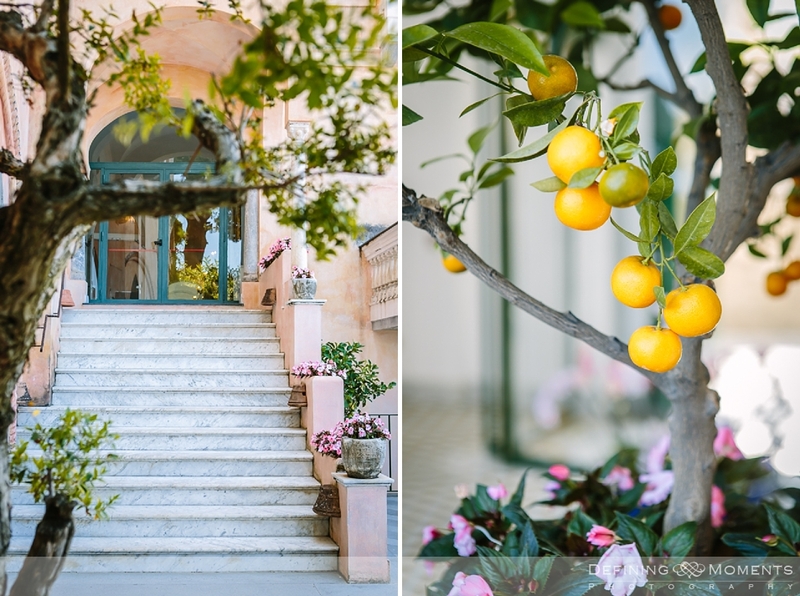 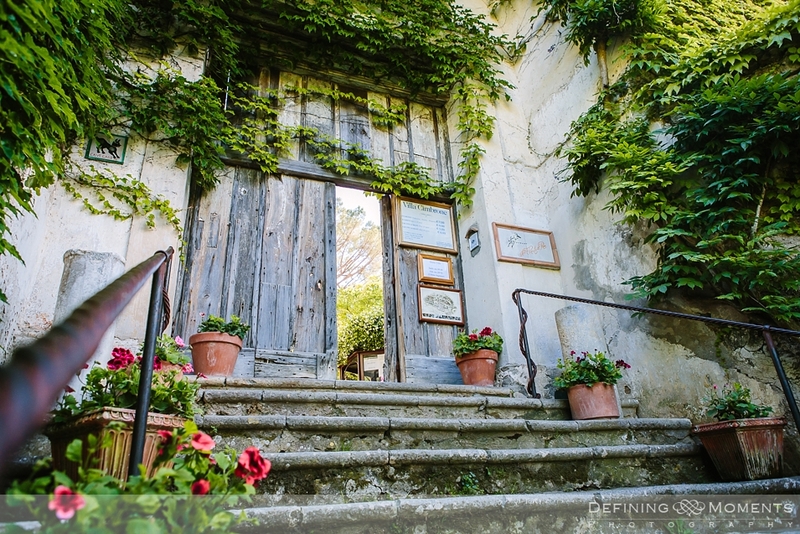 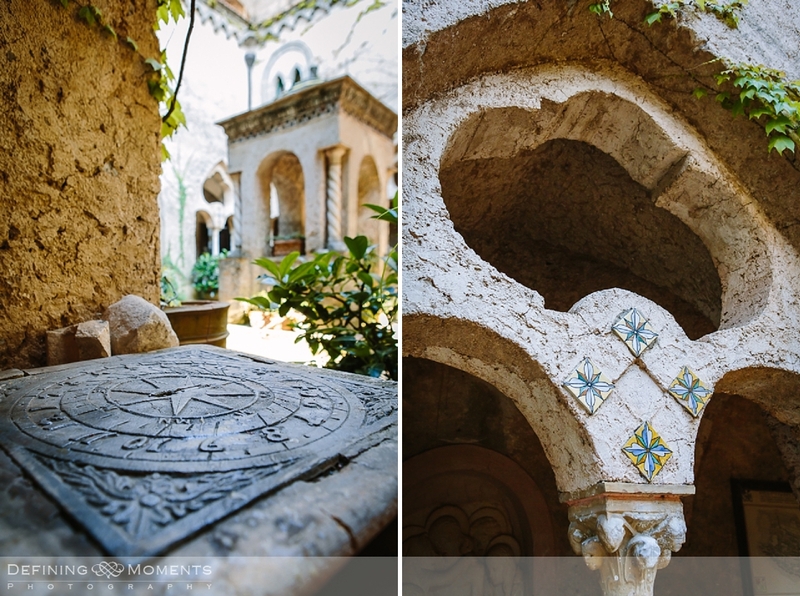 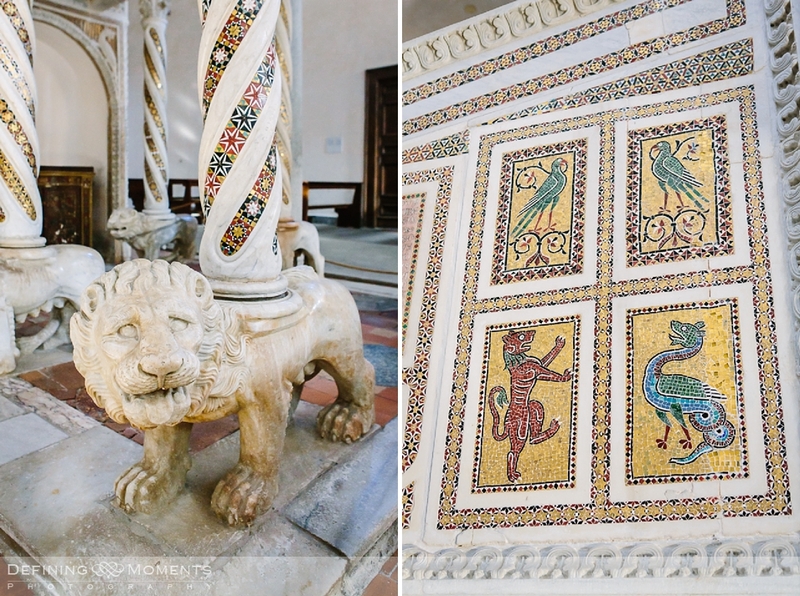 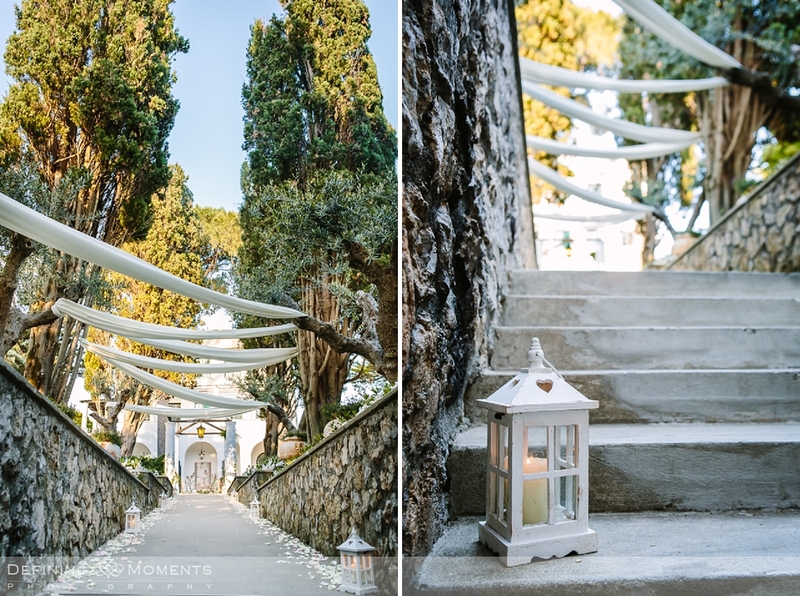 We can opt for a photo shoot in the amazing setting of Ravello and surroundings, even the church stairs are gorgeous! 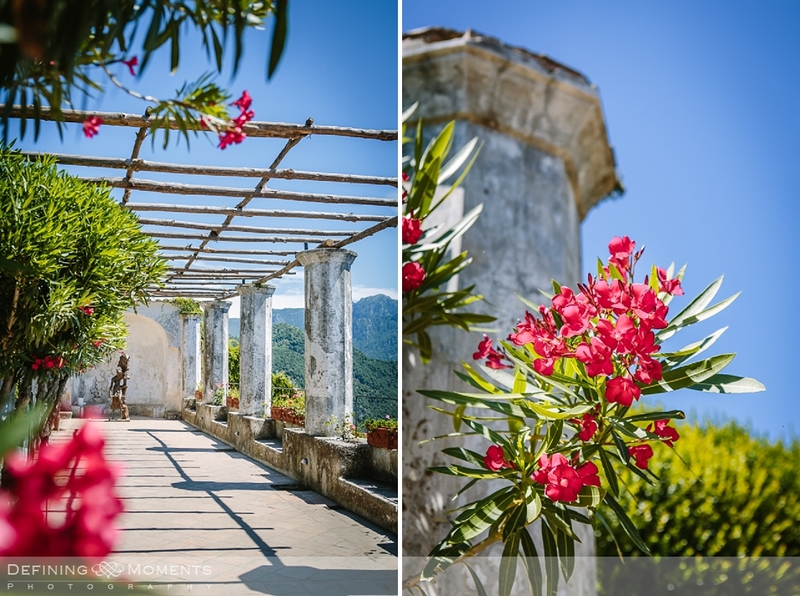 The village itself is abundant in small, medieval alleys, lush parks with flowering oleanders en incredible villa’s with stunning ochre yellow walls. 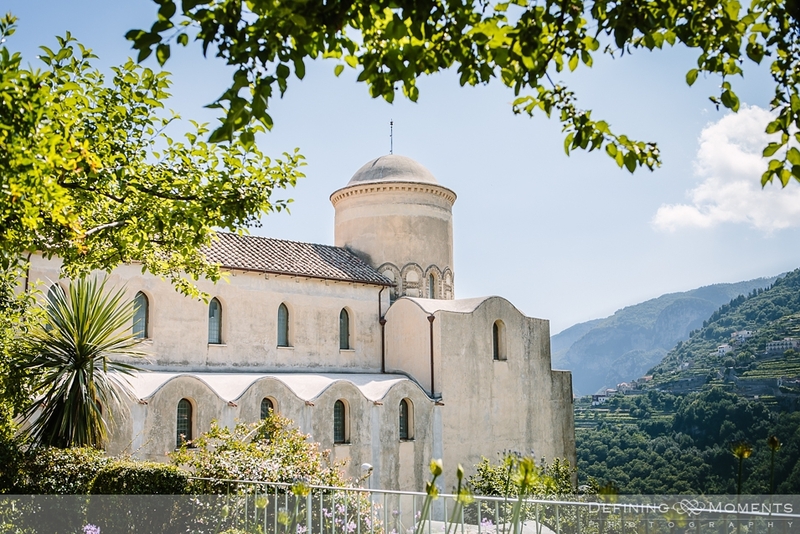 The religious ceremony can be held in one of the many historical churches, for example at the Santa Maria a Gradillo – dating from the 11th (!) 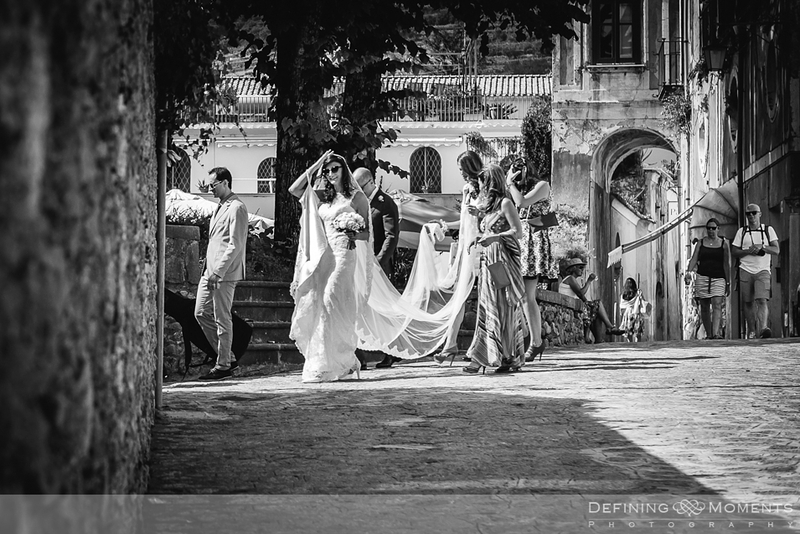 century… or at the cathedral at Ravello’s main square. 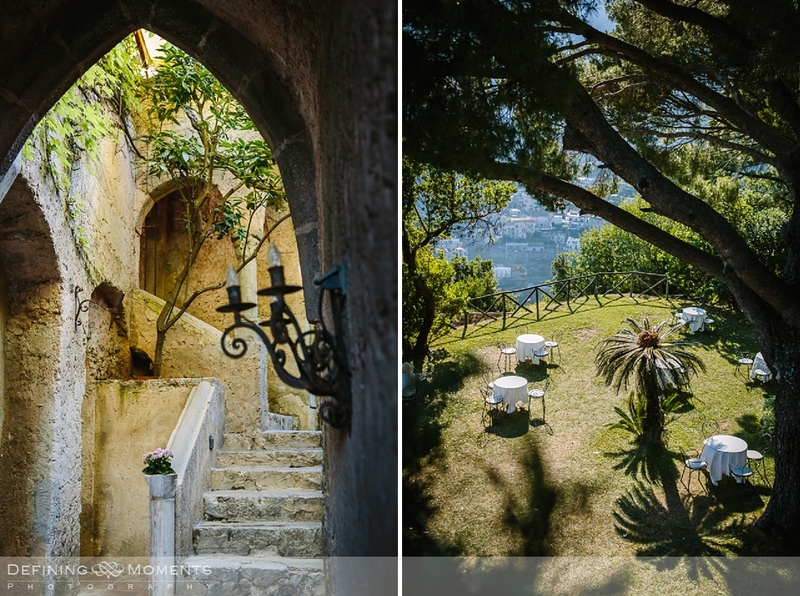 The festivities can be held at one of the breathtaking villa’s overlooking the Amalfi coastline (and these are also perfectly suitable for the formals). 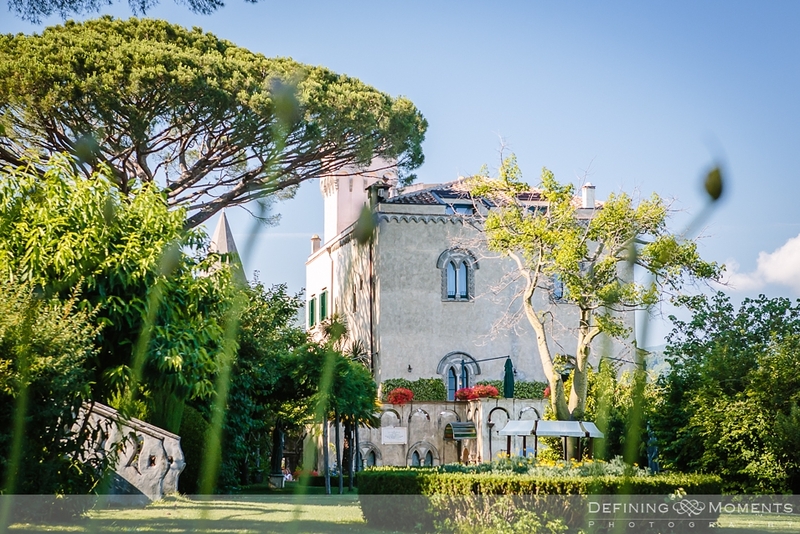 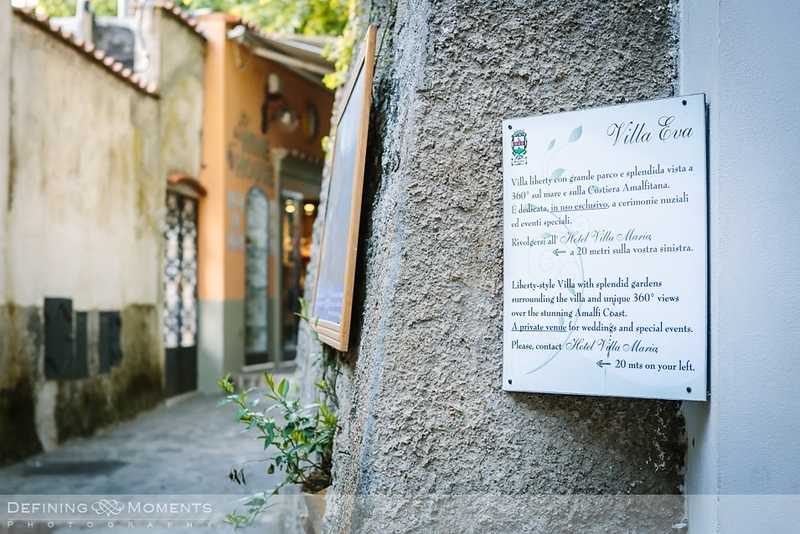 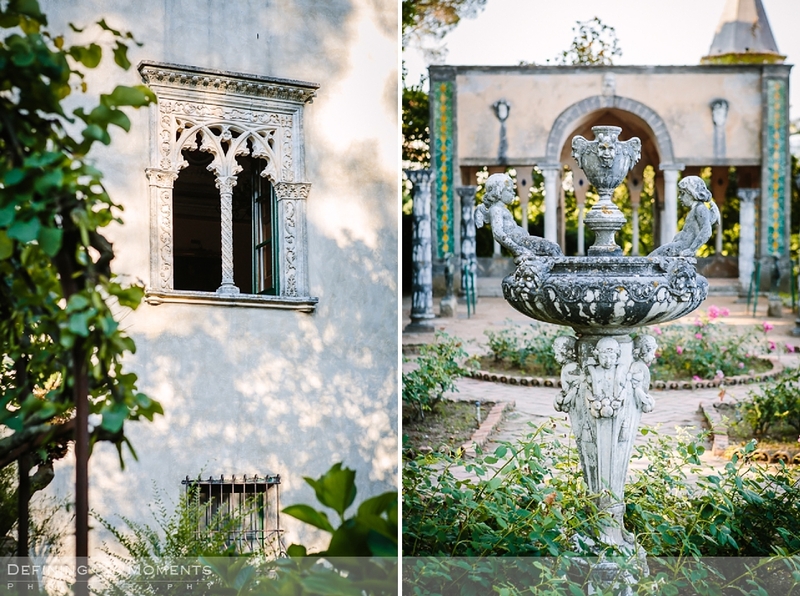 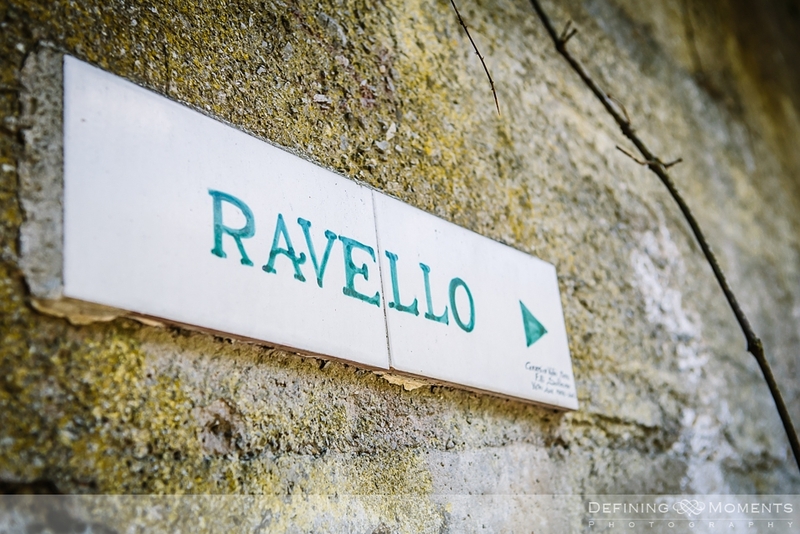 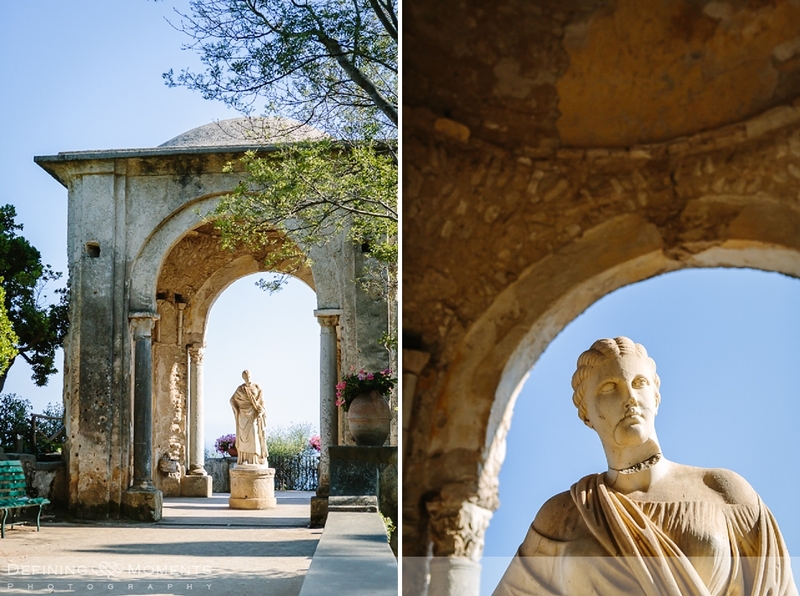 There is Villa Rufolo at the heart of Ravello village but also Villa Eva, specialised in weddings. 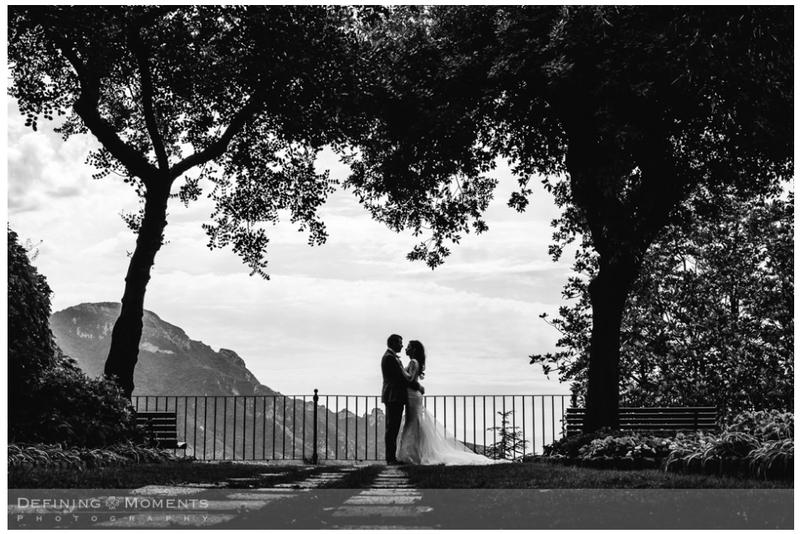 In short, feel free to contact me if you would like me to be your wedding photographer Italy, I’d be happy to give you a bespoke quote. 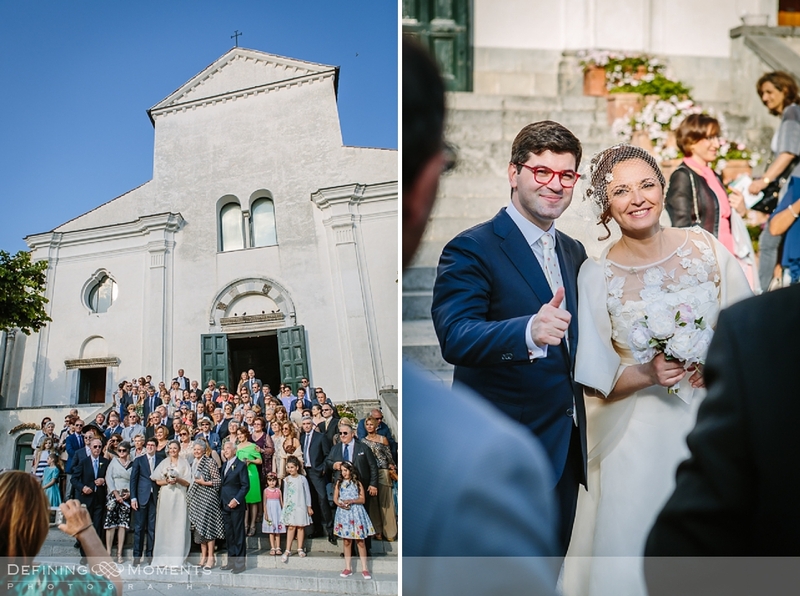 Grazie & ciao! 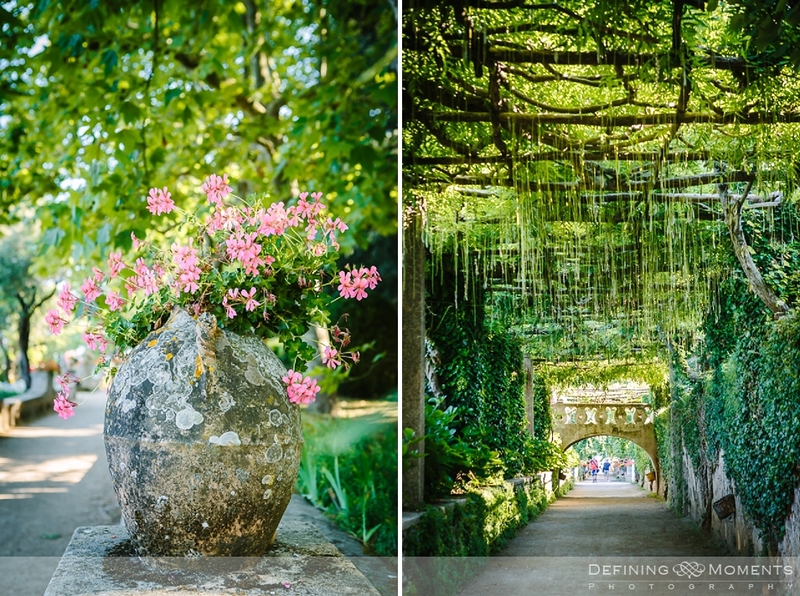 If you would like some more inspiration on elegant country house weddings in the Surrey area, check out this blogpost.